Disclaimer: I received a complimentary copy of this book from Transworld Publishers via Netgalley in exchange for an honest review. When wealthy banker, Dexter Cornell, is suspected of insider trading violent protests erupt around London. The '99%' are angry and looking for a scapegoat. When a homeless man is burned to death by a Molotov cocktail during the protests it appears that a murderer is using the protests to cover his actions. The Peculiar Crimes Unit, including detectives Bryant and May, are called in to investigate and try and bring a halt to the chaos before it's too late. I have mixed feelings about Christopher Fowler. I thought that Roofworld and Spanky were truly terrible novels, but some of his short stories are amazing so I picked up one of the Bryant and May books, White Corridor. I really enjoyed the novelty of Bryant's rambling blend of history and folklore, which at times reminds me a bit of Tim Powers' work. I find Fowler's tendency to go on and on about how wonderful the city of London is a bit annoying, but this time I was prepared for that and just went with it. The mystery is intriguing and some of Bryant's rambling stories are worth hearing for their own sake. He makes an excellent point about Jack the Ripper. 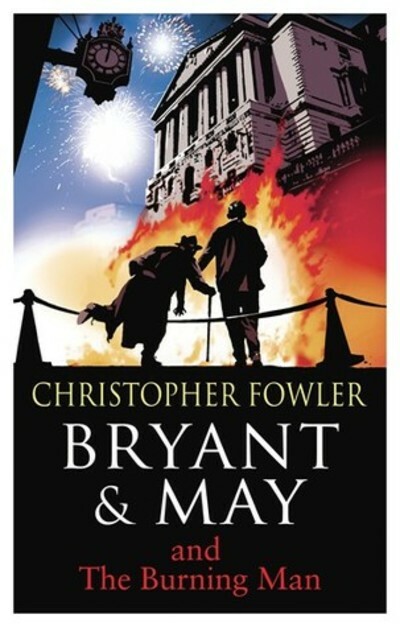 If you haven't read at least some of the earlier Bryant and May books the story would probably still make sense but some of the poignancy of the ending will be lost on you. If you are a fan you definitely should read this book because it looks like it will be the last one, and it's a fitting outro to one of the most peculiar crime fighting teams in fiction. Do you read young adult fiction? Good usage of the names of the manufacturers' of 'Redheads' matches!